Multiple options: 7 acres available for an immediate minor parceling, or prime opportunity to continue with existing subdivision plans. Projections available for 11 new home sites. Or, retain the full available approx. 35 acres as your own mountain retreat. County maintained paved road. Colorado Springs water is immediately available for tap. Borders Pike National forest. Pristine land and coveted location. 15 mins. to COS. Soils, geological surveys, potential build sites, and many other preliminary evaluations are complete. This property has privacy and big views. 15 minutes to Colorado Springs. 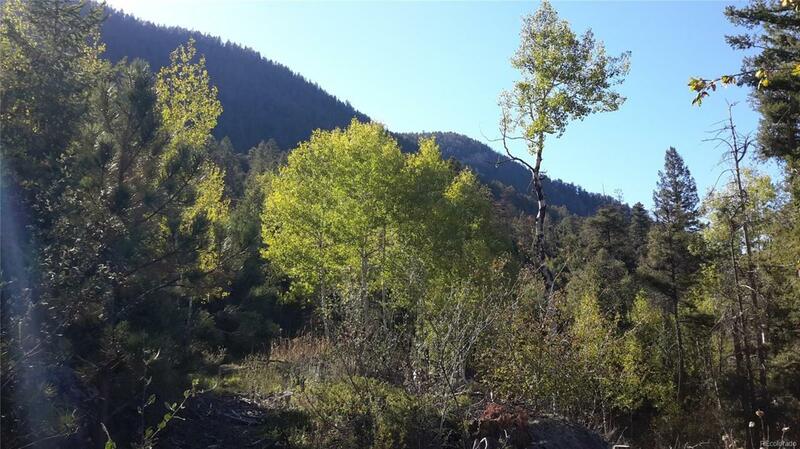 Beautiful forested land studded with aspens and pines. Located near hiking trails, restaurants, and shopping. Plentiful wildlife, amazing sunrises, and an opportunity to live in the highly desirable Pikes Peak region and Ute Pass area of Colorado. A prime location for privacy coupled with an easy commute to the amenities of Colorado Springs. Offered by Your Neighborhood Realty Inc.